QRemote Closing in 15 Seconds. There might be multiple instances of QRemoteServer.exe running or Machine would require Restart. QRemote Server reports “Error: Listening failed. Please restart application” is usually because that there is already one QRemote Server running in the system. 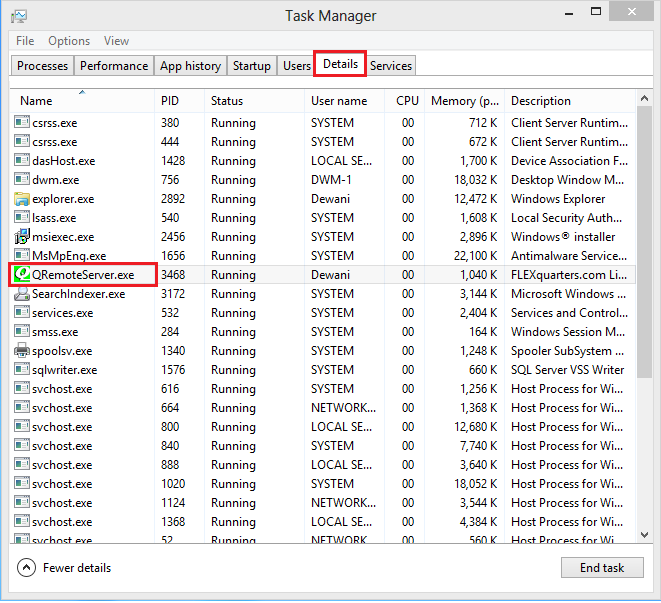 Please open Windows Task Manager, go to “Processes” window. Select “Show processes from all users” option. 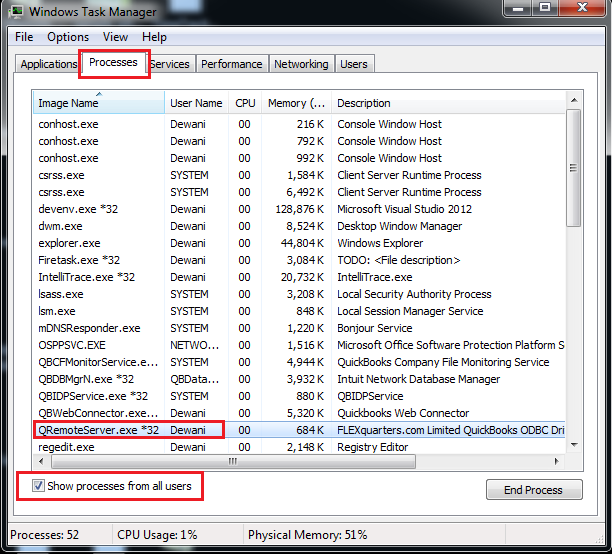 Then find “QRemote Server.EXE” at the process list, and then terminate this process. After you make sure there is no “QRemote Server.EXE” running in the system, please start QRemote Server to see if the problem is still there. If you are on a Terminal Service Machine/Remote Desktop enabled machine and have multiple users logged in. 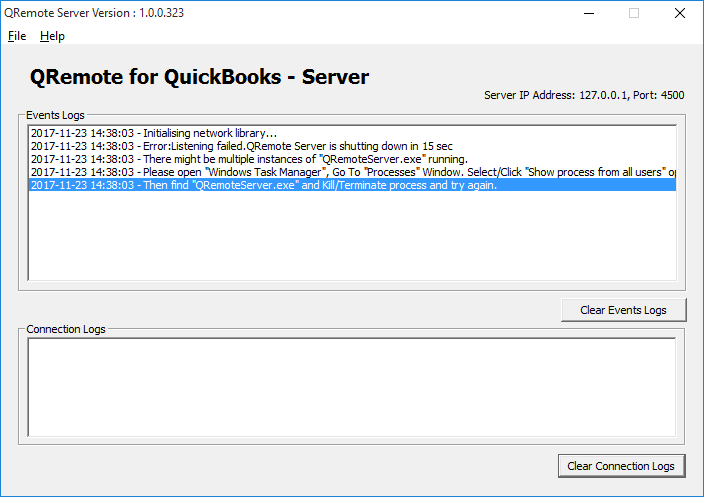 QRemoteServer gets installs as a startup for all the users, and the 1st instance of QRemoteServer will be used to connect to QODBC DSN/QuickBooks. In case you want to change this, you may use msconfig, remove QRemoteServer from Startup. Then manually add the user's startup folder who will be using the QRemote/QuickBooks. Does this mean that only one person can use Qremote at a time in a terminal services environment? If user "A " has qremote running, how can user "B" get to quickbooks? If all users are working on same company file, then they can utilize a single instance of QRemote. Keep QRemoteServer running on User A and User B & User C can use the same DSN and QRemote will be able to provide data to user A, B C.
There is no separate configuration required. All you have to do is keep QuickBooks and QRemote running on User A's session.